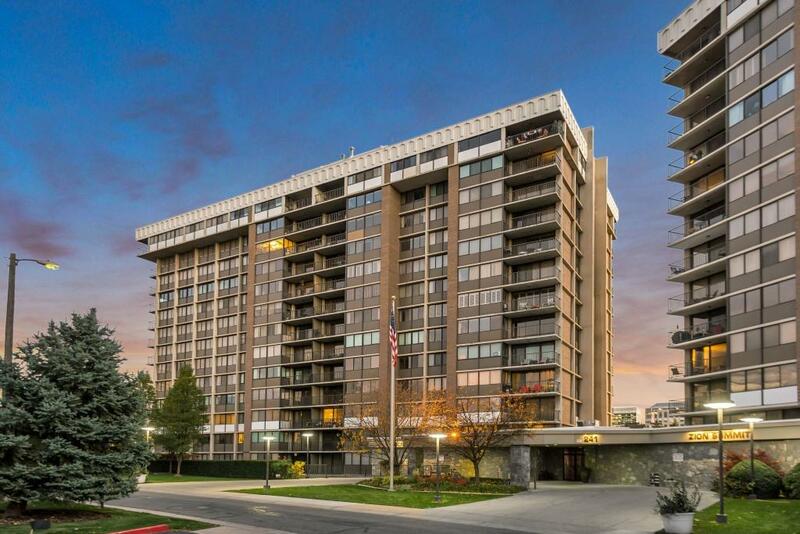 Featured Home Of The Month – May 2018 123 E 2nd Ave #401 downtown Salt Lake City, Utah. Canyon Road Towers. In addition to the number of bedrooms, this corner 3 bedroom condo has the two most important features when it comes to price and popularity; great condition and view. Location helps the value but when comparing units within a building, especially an older building, these two things can make a huge difference in value. 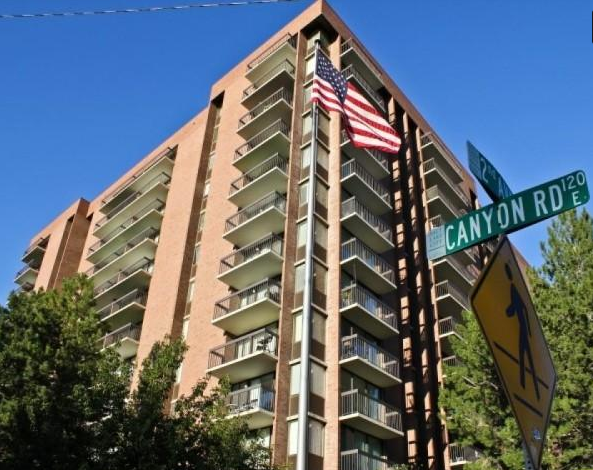 Canyon Road Towers was built in 1976 as was Zion Summit. Many, should I say most, are in original or near original condition. 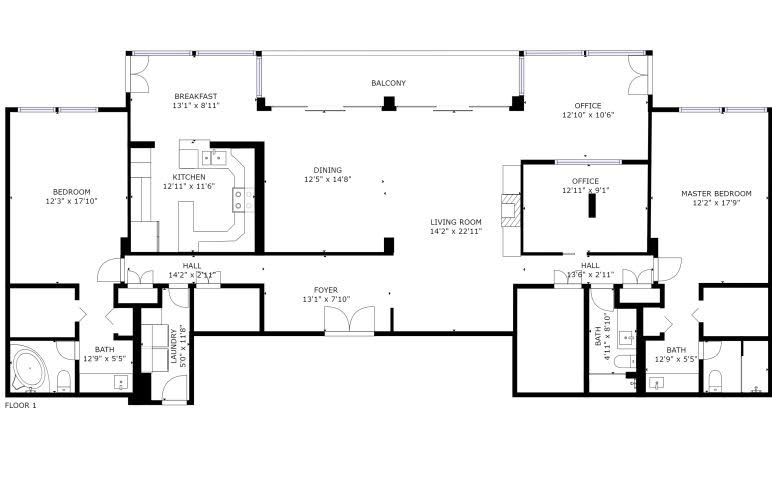 I have seen people have to spend over $100,000 to upgrade one of these condominiums. Many have spent less but $50,000 to $80,000 is typical. 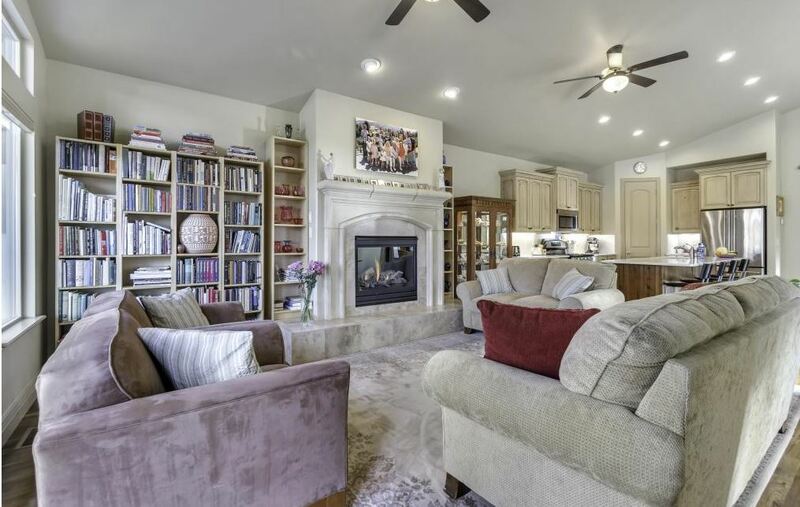 This featured home of the month for May has been nicely updated. The fireplace is rally quite unusual and quite nice. It is in great condition. The view is surprising for being on the 4th floor. It is a corner unit, facing West and North. The view is the setting to the West. Some may say the higher the better. 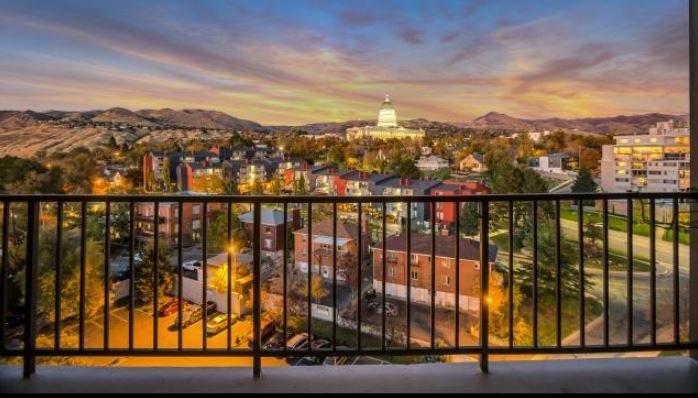 In this case you can be sitting on a couch with a beautiful setting to see the park and Temple Square. I refer the West view on both 4th and 5th floor units as the setting. I actually prefer these views to those on the higher floors, even the 13th floor. Yes, they are higher up but the higher ups miss the setting. To the North the view is to the Capitol. A home is in this view but at night the Capitol building lights up and is just great. 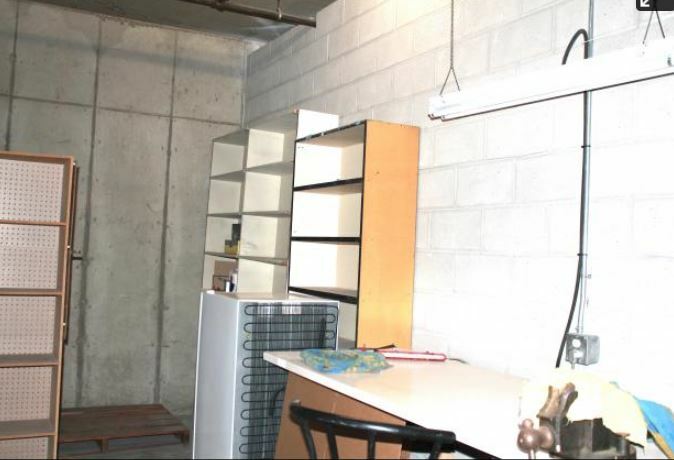 The parking stall for this unit is indoors and one flight of stairs down. (3rd floor parking level). It’s real close to the door you exit this floor, easy and convenient. 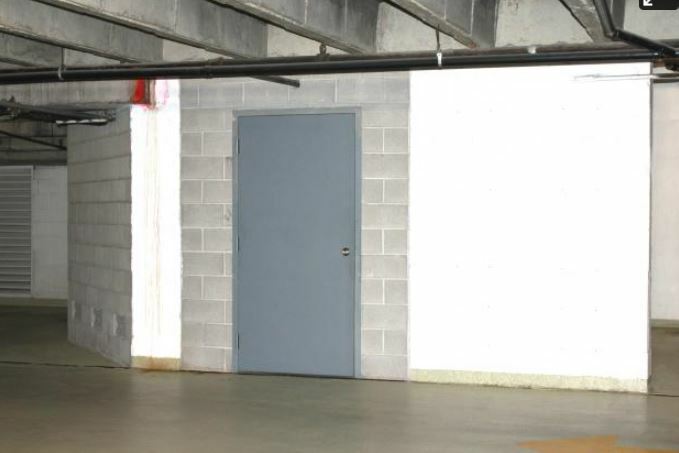 The storage unit is just a few steps from your parking stall. Aha, you can walk through the condo on line. 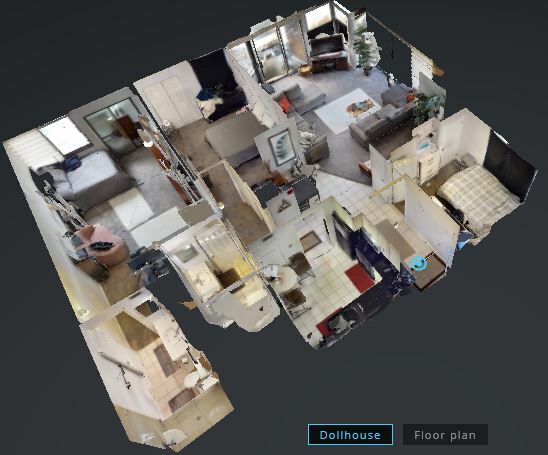 Here is a link to a 360 Matterport tour click here. This tour will save you time, if you like it on line you will love the visit. If you don’t like it online, you won’t waste time with an unnecessary visit. It is rented until the end of July for $1850.00 per month. The tenants are very cooperative. I do need an appointment to show it.